High Protein Low Carb Zucchini Lasagna, a fabulous dinner recipe. A lot less heavier than the classic lasagna, but as delicious, this dish is pure perfection. Lasagna might not be the quickest dish to cook, but it’s surely worth waiting for. I often cook it, either the more traditional way with ground beef, or the lighter version with turkey. 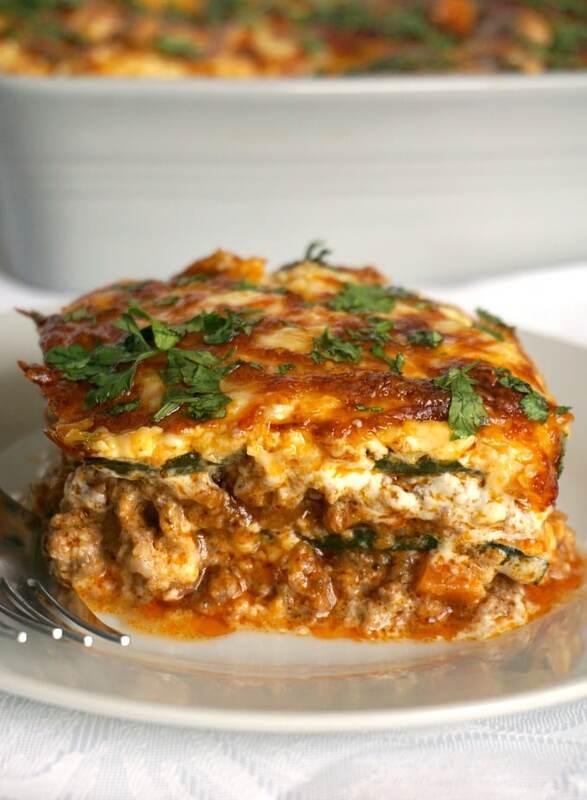 My Turkey Spinach Lasagna Recipe with Ricotta is always a big hit with my little ones. Vegetarian lasagna works as beautifully with us, but this time I wanted to take it even further, and try lasagna without the lasagna sheets. Zucchini seem to be everybody’s favourite vegetable, pretty much all year around. I must say, it can be a bit boring on its own, as it does not have a strong taste, but, used in flavourful dishes, it really stands out. 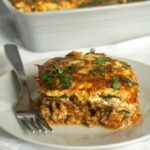 And if you want to up your protein content and cut down the carbs a bit, then nothing tastier than this comforting low carb lasagna. I used ground beef, but turkey, chicken, pork or lamb would work too. How to make high protein low carb zucchini lasagna? The only difference is using the sliced zucchini, other than that, there is nothing different from a classic lasagna, the steps are pretty much the same. BUT, I would strongly recommend grilling the finely sliced zucchini before adding it to the dish! Because otherwise it may release too much water during cooking, and you end up with a big mess. And be extra careful when you slice the zucchini, you can easily cut yourself, as they are pretty slippery. Once the zucchini slices are done, you can cook the ground beef with veggies in a lovely tomato sauce. The mascarpone sauce adds creaminess and keeps the zuccini in place for the meat layers, but you can replace it with ricotta if you want. Also, feel free to use any other cheese, but Cheddar and mozzarella are still my favourite. If you’ve tried this HIGH PROTEIN LOW CARB ZUCCHINI LASAGNA or any other recipe on the blog then don’t forget to rate the recipe and let me know how you got on in the comments below, I love hearing from you! You can also FOLLOW ME on FACEBOOK, and PINTEREST to see more delicious food and what I’m getting up to. High Protein Low Carb Zucchini Lasagna, a fabulous meal for the whole family. 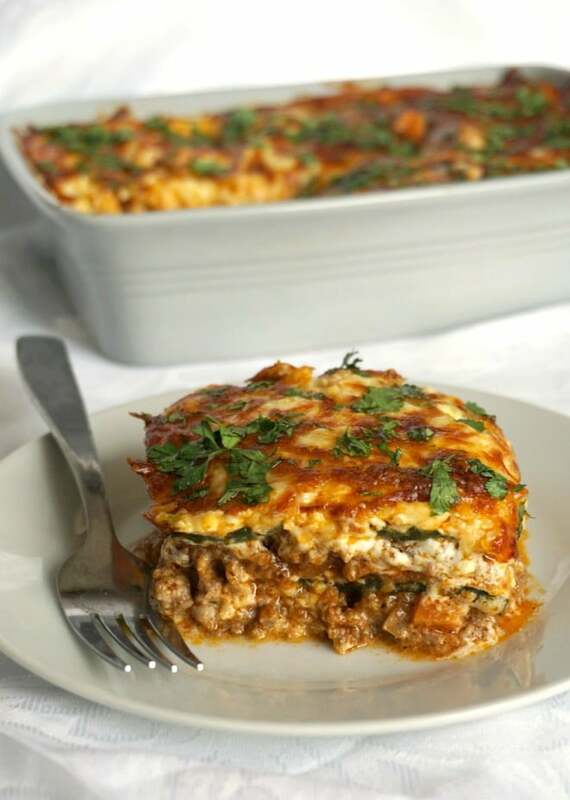 A lot less heavier than the traditional dish, this lasagna tastes as delicious. Peel and chop the onion, garlic cloves and carrots. Add the oil to a large pan, and fry the onion until transluscent. Add the carrots, garlic, ground beef, and stir well until the beef starts to brown and releases all the liquid. Now, the beef stock can be added, and left to cook until evaporated. Next, add the chopped tomatoes and cook for a further 10 minutes. 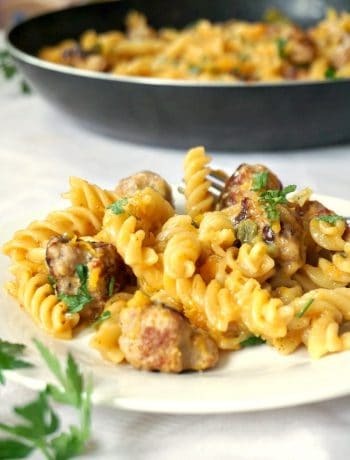 Season well with salt, black pepper, Italian herbs and one tablespoon of chopped parsley. Remove from the heat and set aside. Slice the zucchini finely lengthwise, then heat up a grilling pan and grill on both sides for about 2-3 minutes until soft. Mix the mascarpone, egg and cheddar cheese until you get a smooth paste. 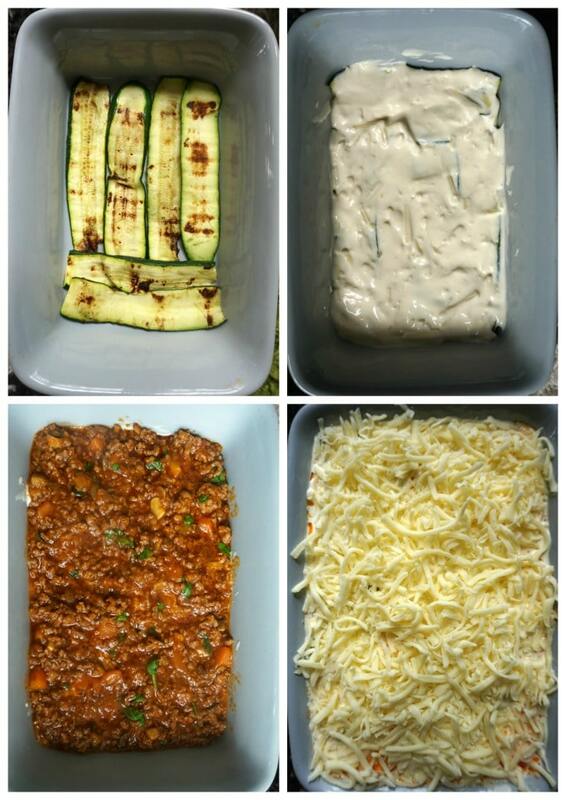 Lightly oil an oven-proof dish and arrange one layer of zucchini, one layer of mascarpone mixture, one layer of ground beef, then again zucchini, mascarpone, beef, and the last layer zucchini. Spread the double cream over, then add the mozzarella cheese, and bake in the pre-heated oven at 180 degrees Celsius (360 Fahrenheit) for approximately 15 minutes. Remove form the oven, and garnish with more chopped parsley. If you'd like to see the measurements in CUPS and OUNCES, please click on the US CUSTOMARY link. The amount of ingredients can be adjusted according to the number of servings you need, please click on the number of servings to change it. This recipe was going SO GREAT until the last step..adding all of that cream. It made my lasagna a lasagna soup….please only add a drizzle of cream to maintain the appropriate lasagna texture. There was also no indication for eggs in the ingredient list; only in the directions. I used fake meat crumbles, golden zucchini, and fresh herbs in place of dried and my goodness the flavor is amazing…just don’t ruin with all the cream! Hello! Thank you for your comment! I am sorry to hear that the cream changed the texture of the lasagna. Indeed, I omitted the egg when I listed the ingredients, I rectified that now. 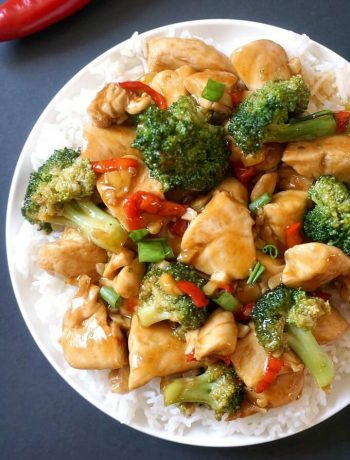 I will cook this dish again with less cream and see if I get a different result next time, and I will then update accordingly, thank you for yoru feedback, it’s much appreciated.